I have had the privilege recently of meeting Suey Park, an activist whose online work is just the tip of the iceberg for a much deeper theological politics. Park’s new group, Killjoy Prophets, has been quite critical of the Open Letter to the Evangelical Church, an effort in which I was deeply involved last year. Park and I decided to make a video to talk about how we came at the Open Letter differently. We also explored avenues for further collaboration. A blogpost is due to come out from the both of us in due course reflecting on this conversation, but I just wanted to post the video here for your convenience. Thanks so much, Suey, for these great thoughts and for this conversation. I look forward to further critical convergences between our work. I’m very excited to learn that a book review forum that Tristan Sturm put together for Social and Cultural Geography is now hot off the press. 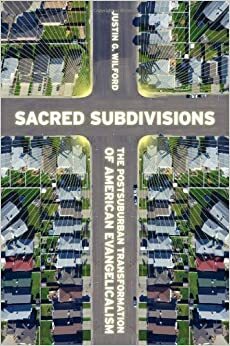 The book is Justin Wilford’s Sacred Subdivisions: The Postsuburban Transformation of American Evangelicalism, and it’s an ethnography of Saddleback Church in Southern California. The other reviewers included Banu Gökariksel, Betsy Olson, and Claire Dwyer. My review focused on how Wilford’s book was put to work when Asian American evangelicals took Saddleback Church’s Pastor Rick Warren to task for an insensitive Facebook photo in September 2013. Recounting what took place leading up to the Asian American open letter to the evangelical church, I argued that Wilford’s book helped to nuance some of the on-the-ground conversation about Warren’s photo, helping those who were involved in the activism to understand that Warren situates himself within a distinctively Southern California postsuburban geography. The service that geographers like Wilford do for the community is to help make activism more precise, getting to the heart of issues and steering conversations in productive directions. I want to thank Tristan for his hard work in pulling this review forum together. This forum originated as an ‘Author Meets the Critics’ session at the Association of American Geographers’ 2013 Annual Meeting; I was later invited by Tristan to step in to take one of the reviewers’ place. While I originally submitted a review to the forum prior to the activity around Warren’s photo, I decided to submit a new review after the activism that put the book itself to work on the ground. This was helpful because I have previously reviewed the book for Religious Studies Review and the AAG Review of Books, and I did not want to repeat myself. Focusing on activism gave me a fresh lens from which to look at Wilford’s book, and I’m thankful to Tristan for pulling it off so well. Many thanks to Justin Wilford for writing such a rich book. We are all indebted to his labours. 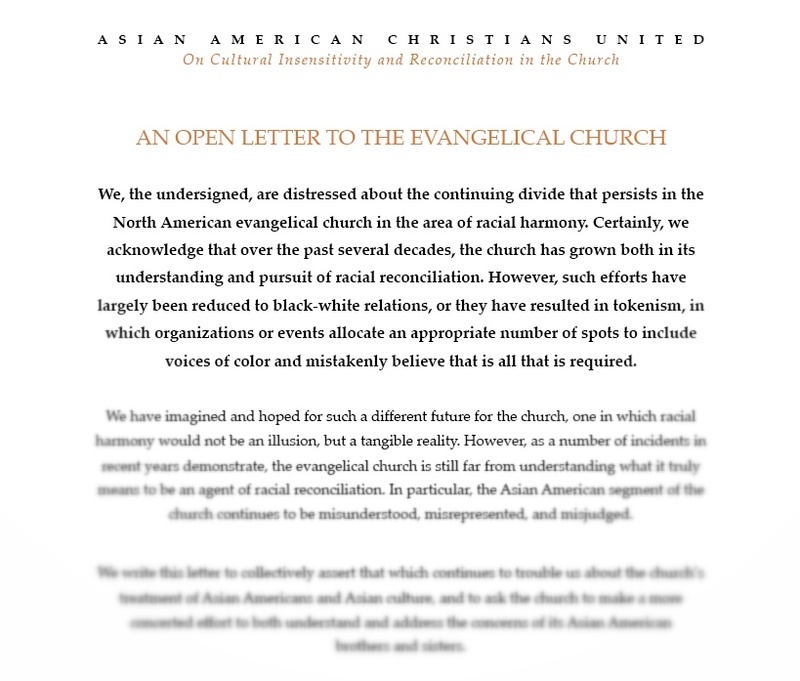 It has been one week since the Asian American Open Letter to the Evangelical Church was released on Nextgenerasianchurch.com. I am one of the original signatories and part of the planning committee for this open letter. Because I have been on vacation over the last two weeks, I apologize for my delay in blogging about this important event, as well as an article in the Vancouver Sun that featured some research that Johanna Waters and I did on transnational youth between Hong Kong and Vancouver. This post will cover my involvement in the publication of the open letter. A forthcoming post will focus on the Vancouver Sun article. My involvement in the Asian American open letter began when Religion News Service’s Sarah Pulliam Bailey contacted the group of us who had blogged about the Rick Warren ‘Red Guard’ fiasco and said that she had obtained information about an orientalizing incident at Exponential, a church planting conference that was incidentally being hosted at Saddleback Church but had no connection to the actual church itself. Kathy Khang has provided a rundown here of what happened. The gist of things is as follows: the Rev. Christine Lee, a Korean American Episcopal priest and assistant rector at All Angels’ Church, New York, tweeted that she had seen a skit at the conference where a white pastor used an orientalizing accent, but when she reported her concerns, her comments were brushed off. This tweet was shared by Asian American writers Kathy Khang and Helen Lee, who proceeded to write the open letter. Sarah Pulliam Bailey directly obtained the story from these tweets. My comment to Bailey was that this second incident demonstrates the necessity for why the conversation must remain public. I said: ‘It is worth observing that it has almost been 10 years since ‘Rickshaw Rally,’ and there are prominent American evangelical publishers, conferences, and pastors who still use Orientalizing imagery’. What I was doing was to place this incident in a historical trajectory that dates back to the Asian American evangelical campaign to pull ‘Rickshaw Rally’ from Lifeway Publishers’ Vacation Bible School publications in 2004. I am thankful that the open letter also uses this trajectory, because the concerns of Asian American evangelicals focus on whether they in fact have a place in American evangelicalism, especially if prominent pastors and publishers feel free to orientalize them despite a decade of protests. (It would be a worthy academic history project to check if there is activism that predates this decade, and whether those activists are connected to the ones at present.) As I have said repeatedly, each of these incidents were public, which makes a public response to them, including one via the press, extremely appropriate. The idea now is to keep this conversation about the place of Asian Americans in American evangelicalism–and indeed, in American religion–public. Indeed, the letter indicates that this is not so much a letter that goes on an attack, but rather, it is an invitation to a public conversation. As some noted to me, the letter struck them as conciliatory, and I agree; it should not sound a note of aggression. Instead, it signals that while private conversations are necessary, like the one that led to Exponential’s informed apology, they are insufficient. If a decade has passed since Rickshaw Rally, then this conversation about race and orientalization must be had with American evangelicals in a public forum, one whose openness provides some accountability for actual change to happen. This public conversation is in turn not a niche conversation. It is good for our public sphere. In a social and political situation where evangelicals are themselves the subject of public discourse, this conversation fits within key debates that are being had in American civil society, especially regarding the intersection of faith and politics. The openness of the open letter is one way to enter into this conversation because it interrogates whether the word ‘evangelical’ in our public discourse is inclusive of Asian Americans. If it is not, that would be curious indeed, given the observations in the social science of religion that Asian Americans are a quickly growing group of evangelicals and have historically been part of key American Protestant conversations. This open letter is thus an invitation to a broader conversation about American religion, especially because American religion concerns every person in the American public, and if that’s the case, then it is an imperative to know what we’re talking about when we talk about ‘evangelicals,’ including the fact that there are many Asian Americans who are very much included in that term. UPDATE: Those interested in how these initial thoughts turned into reflections on how ‘the private consensus is unraveling’ should read my post on Religion Ethnicity Wired. Admittedly, the framing of the ‘private consensus’ and its undoing in this blog post is limited to American religion. My postdoctoral framework for the concept has to do with the Pacific Rim. Yesterday, Sarah Pulliam Bailey posted an article on Religion News Service detailing a controversy that has been generated by Pastor Rick Warren, the founder and senior pastor at a Southern Californian megachurch called Saddleback Church. The article quotes me, as well as Professor Sam Tsang (Hong Kong Baptist Theological Seminary), Intervarsity Christian Fellowship staff worker and blogger Kathy Khang, Seattle church planter Pastor Eugene Cho, and Asian American evangelical blogger and compiler Grace Hsiao Hanford (click on all of the links to find them all). What I want to do here is to provide some context for these remarks so that what is geographical about the events of this week can be more fully understood. Here is what I said. In my interview with Bailey, I said that, as Bailey elegantly phrases it, the ‘controversy over the photo raises questions about how public or private the evangelical conversation on ethnicity should be.’ Indeed, this scenario has raised two key issues for me. The first is that the place of Asian American evangelicals in American evangelicalism has already become a central conversation and item of debate in American religion. While Asian Americans were once target populations for missionaries to evangelize, events since the mid-2000s have shown that Asian Americans are not ‘the other’ to American evangelicalism, or to American religion more generally. Instead, they are part and parcel of it, and they are making their voices heard. Within American evangelicalism, their voices were especially pronounced in protesting Lifeway’s ‘Rickshaw Rally’ Vacation Bible School curriculum in 2004 (minor clarification on Bailey’s article: promotional materials were pulled, while the curriculum was in fact circulated), youth specialties’s ‘Mee Maw’ skit in Skits That Teach in 2007, and Zondervan’s Deadly Viper: a Kung Fu Survival Guide for Life and Leadership in 2009. These protests are indicative of larger developments within American evangelicalism itself. Within academic circles, it has been commonly noted by scholars like Rudy Busto, Karen Chai Kim, and Rebecca Kim that university campus ministries are increasingly dominated by Asian Americans. Academics such as Antony Alumkal, Russell Jeung, and Sharon Kim have also studied the emergence of second-generation Asian American congregations, which themselves have been the subject of reflections by people like journalist Doreen Carvajal, evangelical writer Helen Lee, and theologians Jonathan Tran and Amos Yong. Indeed, this sea-change in American evangelicalism has prompted pastoral theologian Soong-Chan Rah to term this the ‘next evangelicalism,’ a challenge to what he terms the ‘white captivity of the evangelical church’ in America that finds difficulty with the changing geographies of American religion. I said that what happened this week is a key episode in this unfolding conversation. In other words, the events of this week are not ‘conversation-starters.’ They are an invitation to a conversation that is already vibrant and that is objectively happening regardless of whether its existence is acknowledged. The offensive image was public, and Warren’s initial response to it (that Asian Americans should have more humor) was also public, so the Asian American response to Warren was appropriately public. However, the apology is only semi-public because Warren has not addressed the 4,021 followers who liked the post and explained to them why he took it down. Over the last week, there has been contention over whether this ‘backlash’ is an Asian American way of attacking Warren’s ministry and whether the blogposts that went up were indicative of Christian practice; indeed, some thought that Warren should have been approached privately and that this affair should not have boiled over into the public sphere. While I have argued in the past that all geographical debates are theological (see my piece on ‘grounded theologies‘), the question here is really a geographical one at heart. As I said in my interview, that these events began on an online public makes it uniquely appropriate that the response also happened on an online public. However, Warren’s supporters suggest that what would be Christian would be to approach this affair privately. This was my other comment, that ‘those supporting Warren [could be] part of a larger narrative that Asian Americans should assimilate into a broader white mainstream,’ that is, that instead of seeking to re-orient the racial contours of American religion through public conversation, private strategies should be pursued to preserve a status quo into which Asian Americans should integrate. While this is theologically intriguing and requires more theological reflection by competent scholars who study the Christian tradition, the larger debate that this gets at is whether Rick Warren and Saddleback should be considered as private individual institutions whose private governance insulates them from public opinion or public figures involved in a vibrant public conversation on American religion that is already happening. These are competing visions for how to make conversation in evangelical circles, and these geographies should be more thoroughly interrogated and discussed. Yet what this means is that there must be absolute clarity that Rick Warren is neither under attack by Asian American evangelicals nor being defended by his ardent supporters. What is really going on is a conversation about two questions, the first of which concerns the place of Asian Americans in American evangelicalism, and the second of which interrogates the extent to which this conversation should be public or private. On all sides, there is the attempt to invite Rick Warren into these conversations, albeit on different geographical terms, with some pushing for a public conversation while others seek to keep it in the private sphere. Sarah Pulliam Bailey’s article sheds very clear light on those geographies, and for that, her work in engaging this issue should be appreciated while she deserves the gratitude of everyone working in and on American religion. Update: this story has been picked up by Christianity Today and given due diligence by Her.meneutics editor, Kate Shellnutt. Update #2: this story has been picked up by The Huffington Post. The title is overly melodramatic, though, and does not capture the spirit of conversation that any of the parties involved intend. Well, our story is now in Hong Kong’s (in)famous evangelical-ecumenical newspaper, The Christian Times. That’s pretty cool. Sam Tsang, Kathy Khang, and Eugene Cho all get a mention. Let me tell you two things that are cool about it and one that I am worried about. First, this is Sam in a context that knows him for his sharp critiques of dubious church practices. If you thought Sam was on fire this time, you haven’t seen Sam in Hong Kong. That guy spearheaded the exposure of a major fraud in Hong Kong evangelicalism, and those with Chinese reading skills can read it here, and those with Google Translate can get the gist without reading into every mistranslated word: http://arkwhy.org/. In short, this post doesn’t see Sam as an emerging figure. It sees Sam as doing what he’s been doing all along. And this one was mild. Second, it includes Kathy Khang by name and homes in on her most important point: that this is not just about Chinese people affected by the Cultural Revolution, but that what’s at stake is the place of Asian Americans in American evangelicalism. It is also sensitive to Kathy’s central contention as a co-author of the book More Than Serving Tea that Asian American evangelical women have agency and dignity and that they are not invisible figures. It also rightly subordinates Eugene Cho’s reflective contribution about the need for humility to identify blind spots. But now let me tell you my worry. It has to do with me not being quoted, but it’s not about me. I’d rather they’d have stolen my analysis without mentioning my name than leaving it out altogether. I don’t mind at all that this piece does not mention me, but I do mind that the Hong Kong situation, especially the planting of Saddleback HK, makes it seem like this whole thing is another episode in which the radical pro-democracy people in Hong Kong are challenging those in collusion with the established regime. Indeed, as a researcher with commitments in Hong Kong, I am slightly worried that this piece reads this Rick Warren incident through the lenses of intra-Christian politics in Hong Kong (and my, it is tempting because of Sam’s involvement). For what it’s worth, keep in mind that this is not Kung Lap Yan and Narrow Road Church against the rationalists. Daniel KT Cheung has certainly been following the story on the wall, but this is not a one-to-one comparison of his critiques of Truth-Light Society and Co. Kathy Khang is an evangelical feminist who brings a justice and solidarity element, but she is not Rose Wu Lo Sai. This is not about contesting Saddleback HK; it’s about involving Warren and Saddleback in a conversation so that their work at Saddleback, including Saddleback HK, might be more evangelically fruitful. And that gets back to what I said in the Religion News Service piece and in my own post above. The real question here revolves around the place of Asian Americans in American evangelicalism, and the central concern is whether this conversation is going to happen in the public sphere or in a private domain. That is what this debate is about; it is not another episode in the democratic contestation of Hong Kong’s evangelical geographies. There are certainly linkages because of Sam’s work and my research, but the involvement of Kathy Khang and Eugene Cho precludes that interpretation. That’s all to say that I don’t mind not being quoted. But I wish that they would have at least stolen my sentiments, if only to frame this piece outside of a hegemonic intra-Hong Kong Christian conversation. Update #4: my evangelical contacts in Hong Kong have kindly reminded me that while a ‘hegemonic intra-Hong Kong Christian conversation’ should not colonize the Asian American one, there is a conversation happening among evangelicals in Hong Kong that is producing a geography worth probing. The following open letter written by T.r. Mak is an important node in this conversation. Update #5: the blogger David Hayward, who goes by the pseudonym, the Naked Pastor, has covered this incident on his blog on the Patheos Progressive Christian Portal. 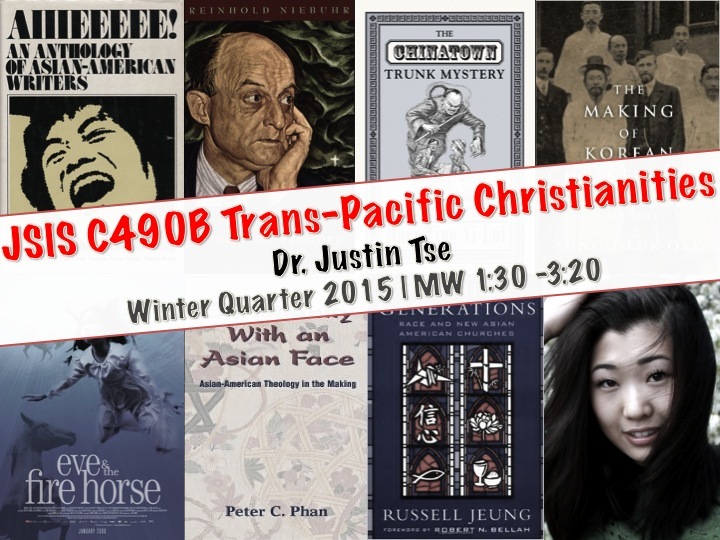 While this coverage has been appreciated by those seeking a public conversation with Warren, Hayward’s framing of Tsang as a ‘Chinese pastor’ (he is a noted New Testament theologian in both Anglophone and Sinophone academic circles) and Khang originally as a ‘Korean Christian blogger’ (this has now been amended to ‘an American of Korean descent’), as well as the lack of coverage of this incident on Patheos more generally, has generated a discussion among some Asian American theologians and pastors over the place of Asian American theologies on Patheos, especially because it is frequently omitted. Update #6: this incident has been covered again on Patheos, this time by Unreasonable Faith on the Atheist Channel. Update #7: Xinhua New China News Agency in Beijing has picked up on the story from the Huffington Post. Emphasizing that Warren was the pastor who gave the invocation for American President Barack Obama’s inauguration in 2009, the piece goes on to narrate the back-and-forth interaction between Professor Sam Tsang and Rick Warren. It concludes by quoting ‘a Chinese’ (一名華人), who says, ‘照片是公開的，華理克最初的回應也是公開的(指讓華人增加點幽默感)，華人對華理克的評論也是公開的，但華理克的道歉卻是半公開的，他並沒有向那4021名點讚的教友解釋清楚,’ which reads in English, ‘The photo was public, and Warren’s initial response to it (that the Chinese should have more humor) was also public, so the Chinese response to Warren was appropriately public, but the apology is only semi-public because Warren has not addressed the 4,021 followers who liked the post and explained to them why he took it down.’ Doctoring my original words to substitute ‘Chinese’ (華人) for ‘Asian American’ and thus achieving a unique ideological twist, this means that my contribution to the original Religion News Service article has been edited and translated for the purposes of this article.